Iran has expelled a Bahraini diplomat in a retaliatory move, amid an ongoing dispute linked to anti-government protests in Bahrain. Earlier, Bahrain had expelled the Iranian charge d'affaires. Tehran has criticised Bahrain's Sunni rulers for using troops from other Gulf states to help control mainly Shia protesters. 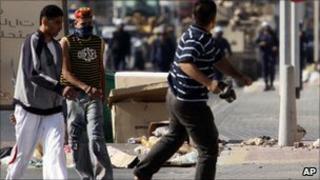 Bahrain has accused Iran, the main Shia power in the Gulf, of interference in its internal affairs. Both countries withdrew their ambassadors earlier this week. "After the illogical and incomprehensible actions of the Bahrain government, especially expelling one of our diplomats, as a reprisal the attache at Bahrain's embassy has been summoned and told that one of the embassy's diplomats must leave Iran," Iranian foreign ministry spokesman Ramin Mehmanparast said. Referring to the "legitimate demands of the population", he said that the "repression of peaceful protests and illogical actions only aggravate the crisis and deepen wounds". On Wednesday, at least three people were killed when Bahraini authorities cleared a month-old protest camp from Pearl Roundabout in Manama. In a brief protest in Manama on Sunday the main opposition group, Wafeq, appealed to the UN to protect them against violence, and to the US to help pressure troops from other Gulf states to leave Bahrain. Opposition groups led by Wafeq said they would not hold talks with the government until troops were removed from the streets and prisoners released. Bahrain's council of ministers said it regretted the "negative" response to an offer for dialogue from Crown Prince Sheikh Salman. Some 1,000 troops from Saudi Arabia and a further 500 from the United Arab Emirates arrived in Bahrain on Monday at the invitation of the government.